Ronda Rousey is an American MMA fighter in the UFC, and quite possibly the most popular female fighter in the world. 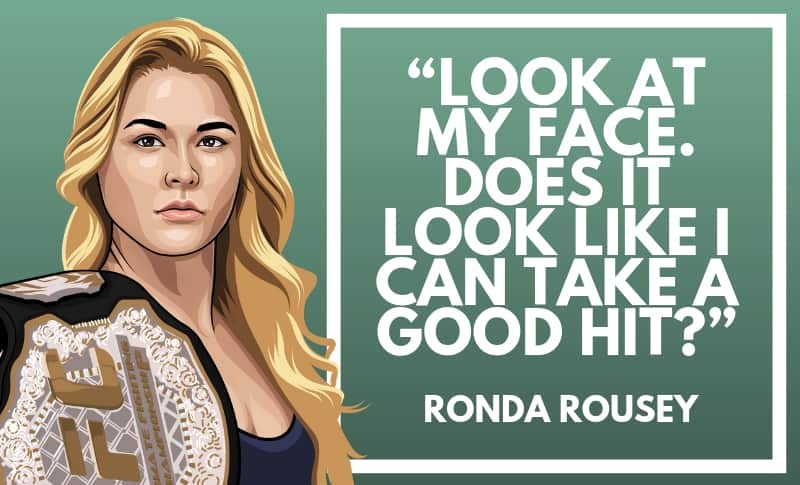 Although she lost her most recent fight to Amanda Nunes is just 48 seconds, Rousey is still regarded as one of the best fighters in her league. As of January 2017, Rousey is ranked the 4th best female bantamweight fighter in the world, according to the UFC. In September 2015, voters in an online ESPN poll selected Rousey as the Best Female Athlete Ever. She is also one of the richest MMA fighters in the world. 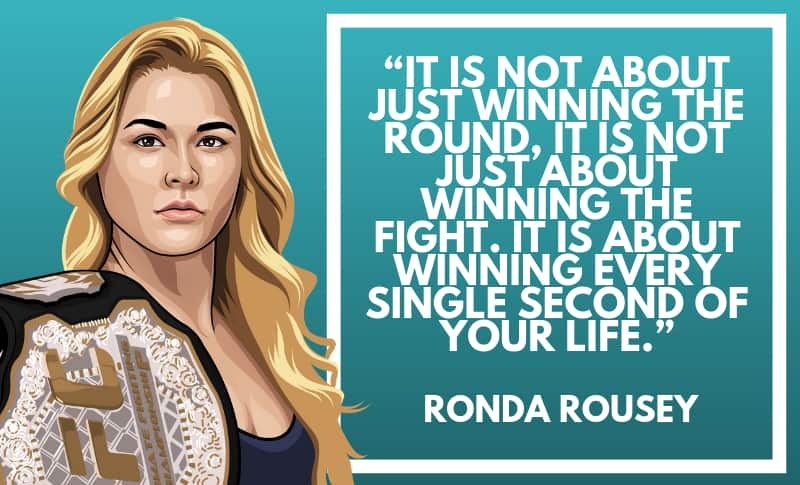 Thanks for checking out this collection of Ronda Rousey quotes! Don’t forget to share them with your friends. 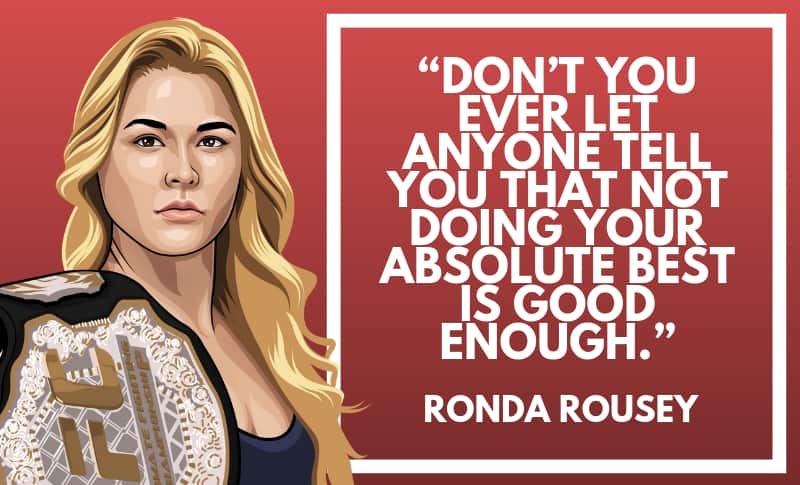 Which are your favorite Ronda Rousey quotes? Leave a comment below.